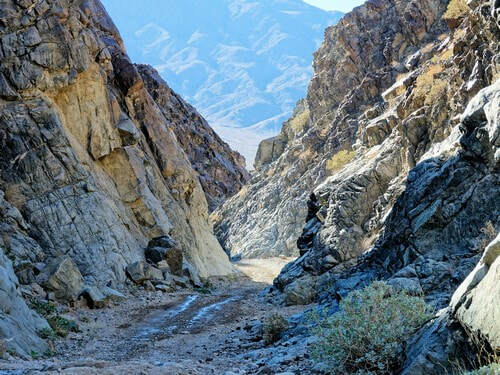 ​Manson hideout, Lotus Mine and a beautiful canyon on a slightly challenging Jeep trail. Charles Manson is a convicted mass murderer and former cult leader who led what became known as the Manson Family, a quasi-commune that arose in California in the late 1960s. Manson's followers committed a series of nine murders at four locations in July and August 1969. In 1971 he was found guilty of first-degree murder and conspiracy to commit murder for the deaths of seven people – most notably of the actress Sharon Tate – all of which were carried out by members of the group at his instruction. The Manson Family was hiding out at the Barker Ranch. The Inyo County sheriff department, California Highway Patrol, and National Park Service law enforcement captured the group in raids on October 10 and October 12, 1969. Manson was caught hiding under the bathroom vanity. At the time of his arrest the officers were unaware of the magnitude of their find. 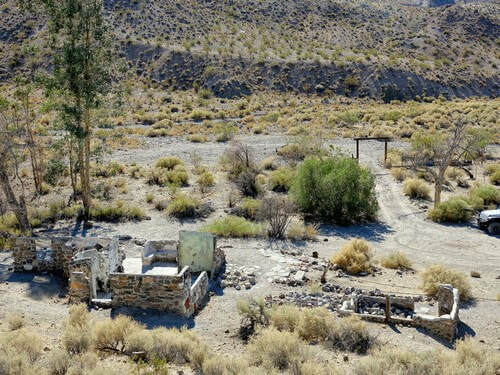 They wanted to prosecute the persons responsible for vandalism within Death Valley National Monument further north, unaware that they had a mass murder suspect and his followers. The ranch burned in 2009. 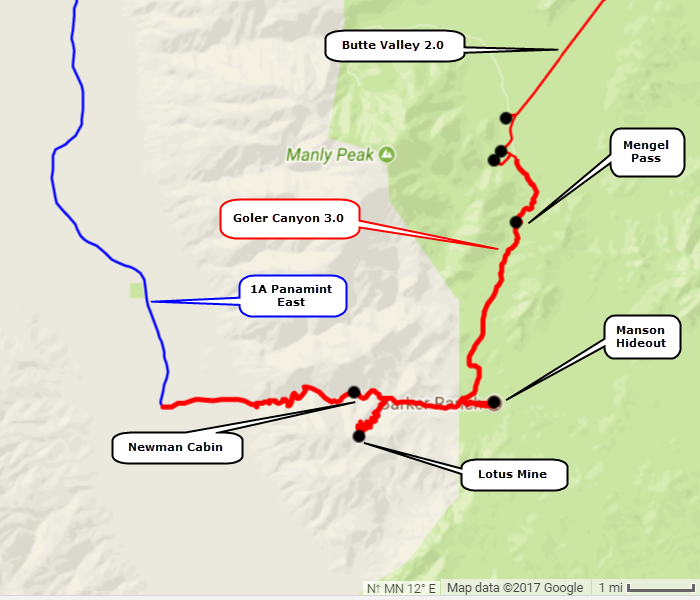 We did this trail east to west, after we had done Butte Valley 2.0, but it can be done either way. If you do it from the west you should do the first mile of Butte Valley 2.0 and see the 3 historical cabins. 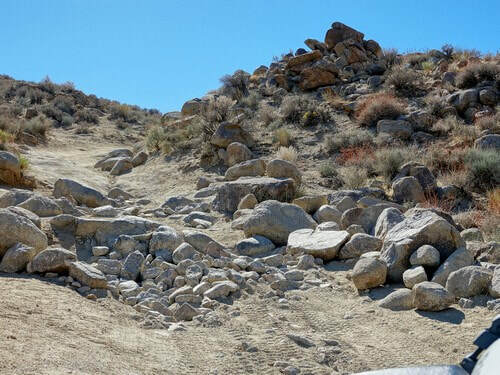 ​There are several challenges on the way to Mengel Pass, the worst of which is the small boulder field pictured here. We rate this at 3.0. The road is less challenging as it goes down the other side of Mengel Pass and into Goler Canyon. You will soon come to Lotus Mine. 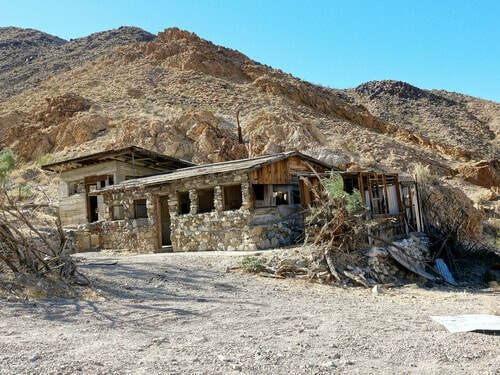 ​This gold-silver-lead mine was originally developed by the famed Carl Mengel in his days in the region, but it was sold to the Monte Cristo Mines company in 1935 and renamed the Lotus Mine. 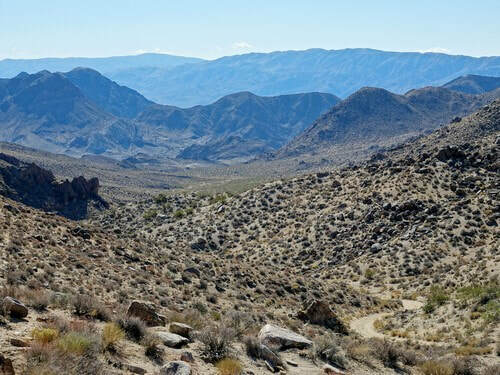 It was worked on and off into the 80s, when most of the modern mines closed in south Death Valley. 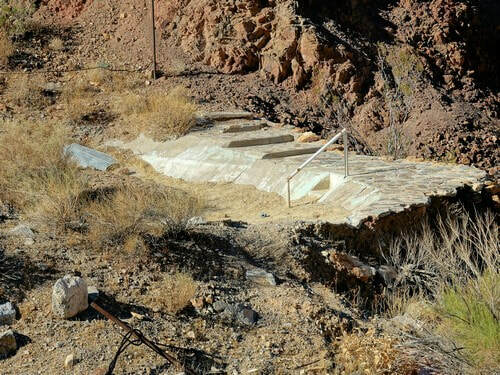 There appear to be the remains of a swimming pool up the side canyon a short distance above the office. 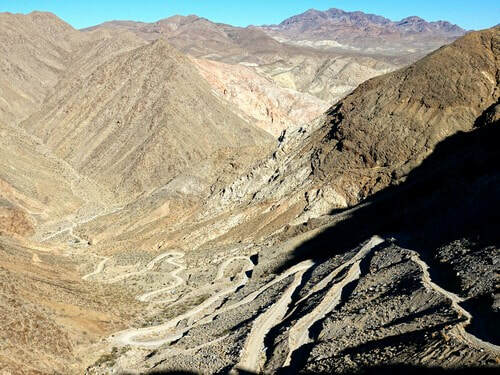 There is quite a set of switchbacks climbing up to the mine. 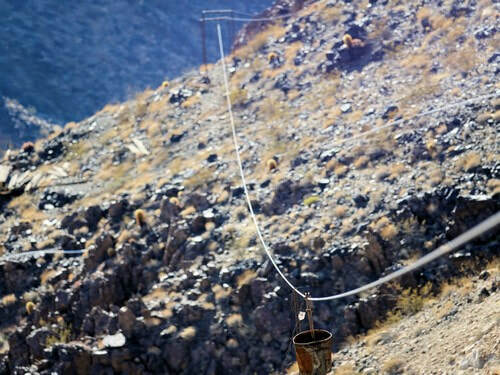 ​There were two aerial tramways and part of one is still in existence. The ore buckets are smaller than what we have seen at larger mines. 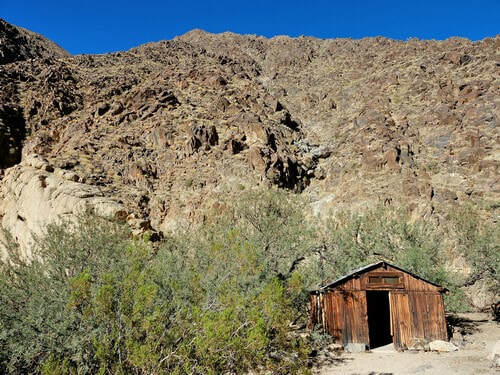 Stop to visit Newman Cabin on your way down lower Goler Canyon and into Panamint Valley.